Sri Lanka had many names in the past. Persians and Arabs referred to it as “Sarandib” or “Serendip” from the word serendipity. A true to the meaning this beautiful island in the Indian Ocean is. Arthur C Clarke, the famous science fiction writer made Sri Lanka his home and stayed here till his death and has written much about the cultural and geographical diversity of this island nation. Recovering from the decades of tragic civil war that split apart the nation, Sri Lanka is taking rapid strides forward economically. Blessed with natural beauty and diversity, Sri Lanka is already a favorite travelers destination from many. The place from North to South and from East to West provides great many opportunities for various activities and travel experiences. With its pristine beaches and beautiful ocean with bustling marine life scuba diving and snorkeling, along with kite surfing and other water sports are popular out here. As you go deeper inside the country, the green forests and the wild life with leopards, elephants, birds are a treat for any wildlife enthusiast. The green country provides amazing trails for bikers and cyclists. The swelling rivers are great for white water surfing. Culturally Sri Lanka is a diverse country with Sinhalese Buddhists having the larger numbers and hence the influence. Though one may find enough influences from the Portuguese, Tamils, Muslims and other ethnicities or nationalities that have come and stayed in Sri Lanka for centuries. Not to forget the tales from the epic Ramayana about Lord Rama’s nemesis Ravana who ruled Lanka as part of the myth. Sri Lanka is a microcosm of diversity with everything yet something for each and every traveler. The wildlife of the land has been famous for centuries, but only in this generation have we grown to know the wildlife of the sea – which is even more prolific, and far more colourful. The rich diversity in Sri Lanka has created the potential for many a experiences ranging from adventure to nature to culture to religion to food and much more. We are trying our best to curate these. Some of those are here and rest we could curate or design on request. Sri Lanka has many PADI (Professional Association of Diving Instructors) approved site. The Sri Lankan waters are clear and rich in marine life. No wonder this has been a popular scuba diving and snorkeling place for years now. Arthur C Clarke the renowned author settled in Sri Lanka so that he could be closer to his passion of diving. He has also documented many discoveries like Taprobane Reefs in his books. The PADI diving sites are widespread across the island right up in the North East at Trincomalee, Nilaveli to way down South at Batticaloa. And down in the South East at Galle, Hikkaduwa all the way up in the East coast near Colombo, Negombo and Kalpitiya. Sri Lanka is a treasure island indeed esp. in terms of flora and fauna – wildlife and birds that are protected across 22 national parks. These include two marine parks at Hikkaduwa and Pigeon Island. The most touristed are Yala, Uda Walawe, Horton Plains, Bundala, Minneriya and Kaudulla. Our experiences are around the offbeat national parks – Anawilundawa sanctuary and Wilpattu national park in the form of Wildlife Safaris, Birding and even Conservation Projects (like Elephant orphanages). The big outdoors in the small Sri Lanka provides great many trails for trekking. Trek to Adam’s peak is one such popular hike. Adam’s Peak, also known as Sri Pada, is a 2,243m (7,359 ft) mountain in the central highland region of Sri Lanka. For Sri Lankans, Sri Pada is an important pilgrimage site. The Buddhists claim the footprint mark is the left foot of Buddha. Hindus consider the footprint to belong to none other than Lord Shiva. Muslims & Christians believe it’s Adam’s first step after being exiled from the Garden of Eden. The route is a mix of incline trekking and 5,000-6,000 crumbling stone steps. Takes most people 2-4 hours to summit based on fitness, crowds, and breaks. 1-2 hours to come back down. The typical climb is started in the middle of the night so you can reach the peak for a breathtaking sunrise. Sri Lanka with its beautiful countryside, ancient cities, temples and monasteries, dazzling beaches and green forests is best seen in leisure. And what could be best than a bicycle that could fit right in with its huge network of roads, routes and tracks. – Visit five of Sri Lanka’s UNESCO World Heritage sites while cycling through the rural tranquility of local life. This tour will enrich you with the history and heritage absorbed during our journey through central Sri Lanka. – Explore Sri Lanka – The smell of spices, ancient cities, cool highlands, tropical beaches, all await you on this paradise island. And other trails on request. The picturesque Kelani river in Kithulgala is a popular white water river rafting destination. The typical distance of 5 km has 5 major rapids and 4 minor rapids. It is an exhilarating experience. A must do for all adventure and non-adventure folks visiting Sri Lanka. With a history of over 3000 years, Sri Lanka has some of world’s ancient cities including Anuradhapura, Polonnaruwa and Digamadulla; once glorious townships, palaces, temples, monasteries, hospitals and theaters intricately carved and modeled out of stone lay and abandoned and forgotten with time amidst the soaring jungles. Anuradhapura is the most famous and exquisite of all. Sri Lanka’s third and the longest serving capital and one of the oldest continuously inhabited cities in the world is also one of the most sacred cities of World Buddhists. It was the capital of Sri Lanka from the Fourth Century BC up to the turn of the eleventh Century and was one of the most stable and durable centers of political power and urban life in South Asia. Sigiriya, a fifth century AD fortress and a water garden displays some of the most futuristic elements of landscaping and some of the oldest murals recorded in the country. Polonnaruwa, the second most ancient kingdom of the country with sophisticated irrigation systems that are far superior and they still provide irrigation water to the farmers in and around Polonnaruwa. Digamadulla, the Eastern kingdom of Sri Lanka was the agricultural and spiritual capital of the country during the Anuradhapura kingdom. Sri Lanka’s last kingdom the Kingdom of Kandy is a testament to the Sri Lankan’s ability to pick up and rise from ashes. After being burned and ravaged more than thrice by the invading Portuguese the Kandyan Kingdom still holds beautifully carved and built houses, palaces and temple preserved for nearly 500 years. We can also arrange volunteering work in the villages nearby and various projects related to wildlife and conservation. All this to add to the authentic Sri Lankan flavor. All these activities are summarised in the following sample itinerary that gives you an indication of where these take place. This sample itinerary represents the various places in Sri Lanka and different activities therein. Depending on your interest and time we could curate a customised travel experience for you based on the following. Day 1 / Arrive in Colombo. Day 5 / Nilaveli, scuba diving, evening city tour. Night stay at Nilaveli. Day 9 / Early morning proceed to Kitulgala (White water rafting, canyoning, waterfall abseiling). Overnight stay in Kitulgala. Day 12 / Drive to Negombo, Lagoon tour, evening shopping tour. Overnight in Negombo before proceeding to Airport. Its now time to go out there and experience. Ella is a beautiful small backpacker-hub on the southern edge of Sri Lanka’s Hill Country. It has become to go-to town in the hill country for tourists and as a result has a reasonably well-established tourism-orientated economy. For example, there is espresso coffee and fish and chips on offer, as well as lounge/backpacker -style bars aimed solely at the visitor. 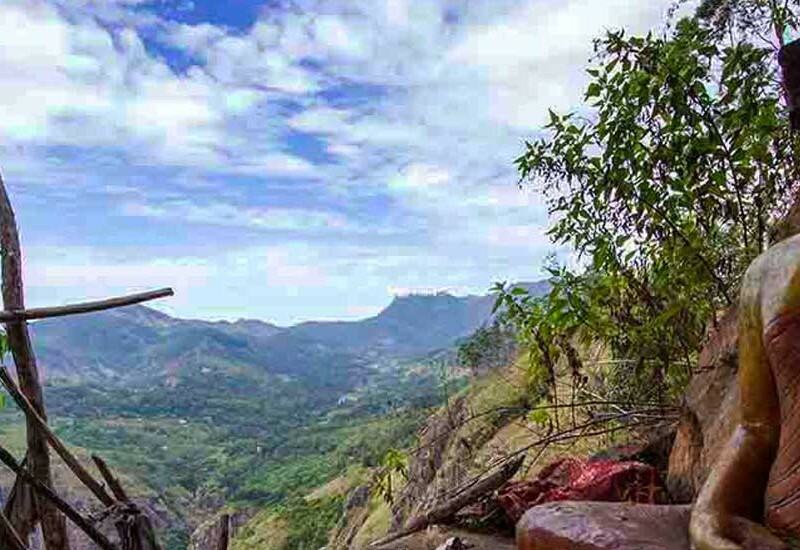 Namunukula is the name of a mountain range in Sri Lanka’s province of Uva in the Southern region. Its main peak is 2,035 metres (6,676.5 ft) high. The name means “Nine Peaks”. Arthur C Clarke, the famous science fiction writer for his love of the ocean and diving made Sri Lanka his home and stayed here till his death. With its pristine beaches and beautiful ocean with bustling marine life scuba diving and snorkeling, along with kite surfing and other water sports are popular out here. 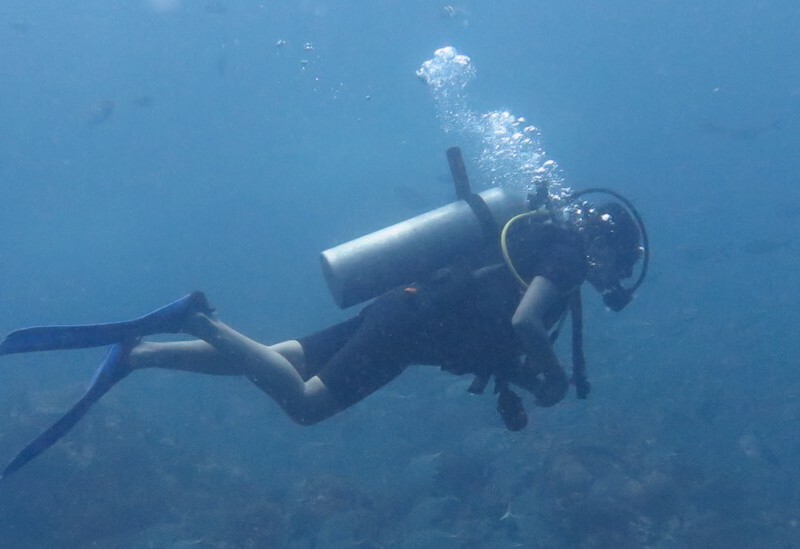 Aqua sports particularly scuba diving is what we will focus on for the passionate divers out there. © Rustik Travel Ventures Pvt. Ltd. All rights reserved.